Today’s guest blog is from Roger Wong and originally appeared on the Huffington Post Blog on September, 8, 2014. The original post is part of a series produced by The Huffington Post and The Franklin Project at the Aspen Institute, in conjunction with both 9/11 (designated a national day of service & remembrance) and the 20th anniversary of AmeriCorps (9/12). 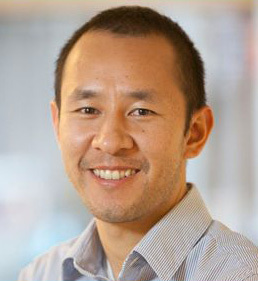 Roger Wong is currently Global Philanthropy Manager at eBay. He served two years with AmeriCorps through the Massachusetts Promise Fellowship, first at Social Capital Inc., (2003-2004) then at Boston Cares (2004-2005). On September 8, 2014, he was named one of AmeriCorps Alums 20th Anniversary Leadership Award Winners. It’s impossible to forget the moment when I realized finding myself was less about finding a career, and actually about discovering my purpose. For me, that moment was on September 11, 2001 when I saw my friend brutally murdered as her plane slammed into the World Trade Center. I was angry, confused, and sad. I had questions. How was this possible? What could I do? I was looking for a way to respond to this tragedy that rattled our nation and our world. So, faced with apathy, I took action. Until September 11, I wasn’t concerned with these matters. I was focused on building my career. Growing up, I was one of only a few immigrants in the small town of Stoneham, Massachusetts. My family was from Hong Kong. I was encouraged to focus on how to do well in school and achieve career success. I often suppressed the culture of my home country because I thought I needed to do so to fit in and to be successful. I felt a high level of responsibility to support my family by finding a decent-paying job. But as the planes crashed into the towers, they also crashed into my life plans. I was a year into working as an analyst at a global hospitality consulting firm, but I returned home to serve in AmeriCorps. I served two full years through the Massachusetts Promise Fellowship, first at Social Capital Inc. (SCI) and then at Boston Cares. At a time of sadness and shock, my service with AmeriCorps taught me how to fight for a better world. Rather than turning away, through AmeriCorps, we chose to tackle tough community challenges head on. I facilitated a citywide dialogue to reverse declining rates of civic engagement. I learned about program design and the importance of building in measurement tools to assess progress toward your goal. I learned how to build relationships with communities and find the seemingly-elusive leverage points that catalyze change. Through AmeriCorps, I also realized I wanted to spend my life working to help individuals overcome societal barriers as I had done — and launched a career in global philanthropy. My career trajectory was no longer about the bottom line or what I was “supposed to do.” I learned that a life of service isn’t contradictory to success. Now, working in corporate social responsibility initiatives at international corporations like Charles Schwab and eBay, I manage strategic partnerships, charitable giving programs, and engage employees in volunteering. I know in no uncertain terms I would not have these roles, nor be as well-equipped to perform them, were it not for my service with AmeriCorps.